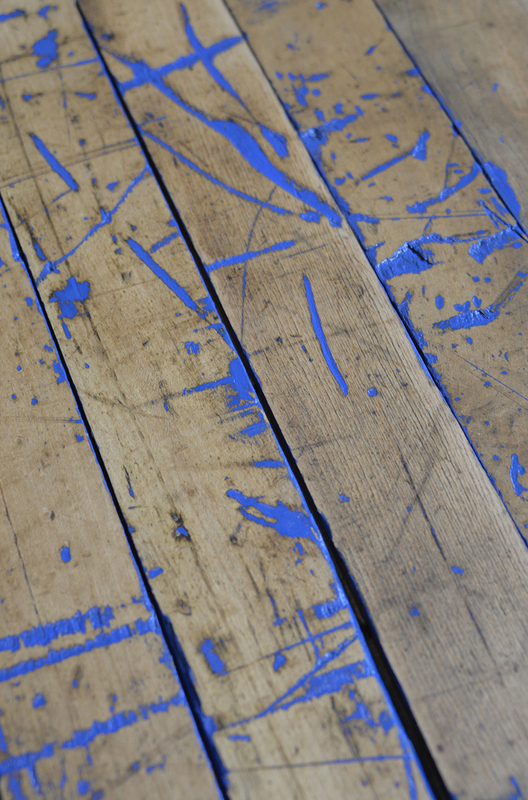 This batch of hardy Maple floor was underfoot for a century of manufacturing at Case Plow Works in Wisconsin. 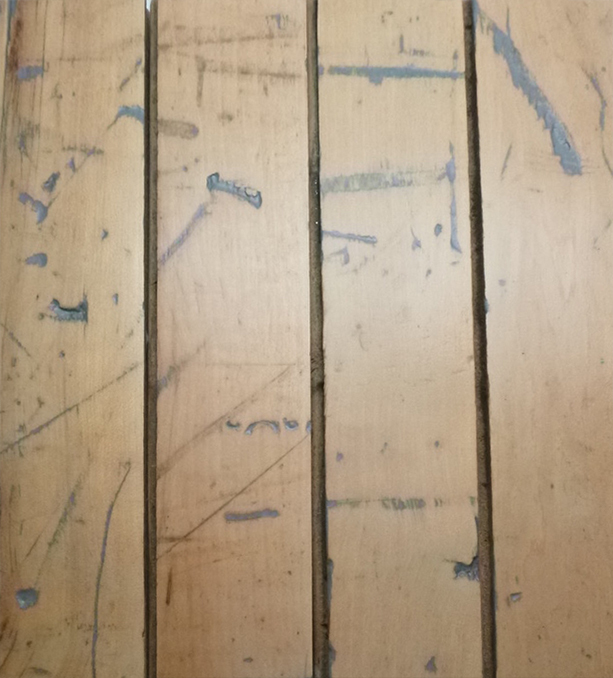 Material within this batch varies in color from light tan to dark brown and may include occasional paint, old machine oil stains, and a range of wear marks. 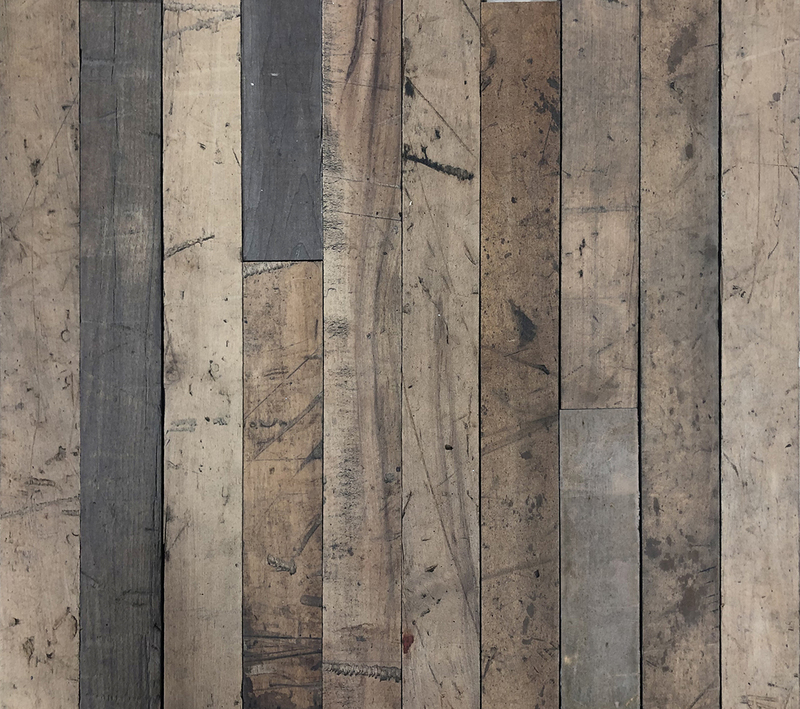 A great choice for commercial applications, this floor’s appearance adds instant and authentic industrial character to any environment. Price ranges from $6.45–$9.45/sf unfinished. 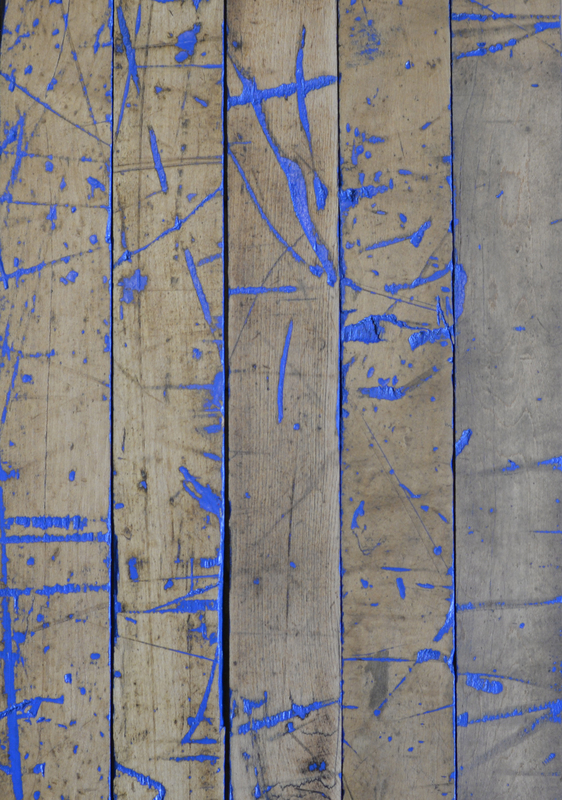 Original Tongue & Groove Square Edge (TGSQE) Some areas of damage may be included. These 1909 buildings were initially used to manufacture and warehouse Case tractors made by JI Case & Company. 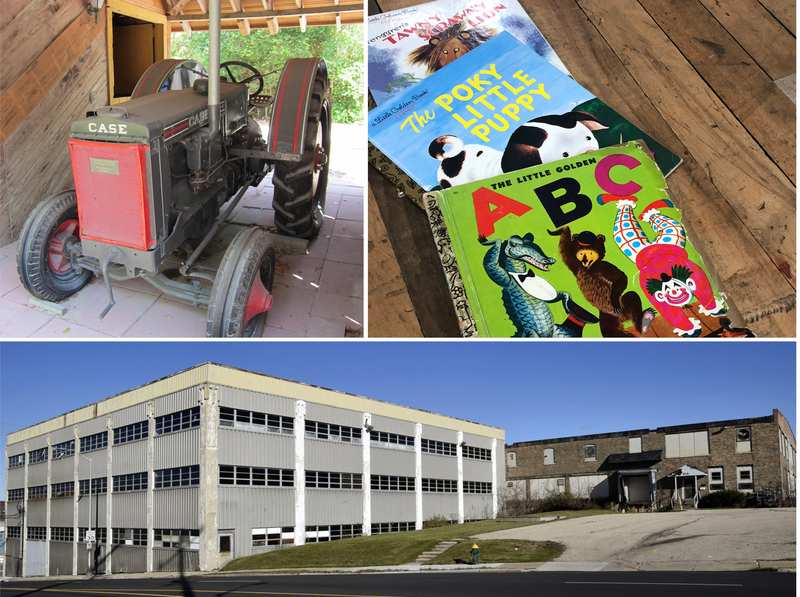 After Case relocated in the 1950’s to a larger space outside of town, the property was taken over by Western Publishing who produced the Little Golden Books. Most recently, the building on Marquette St. was the site of Racine’s Factory of Fear Halloween attraction. 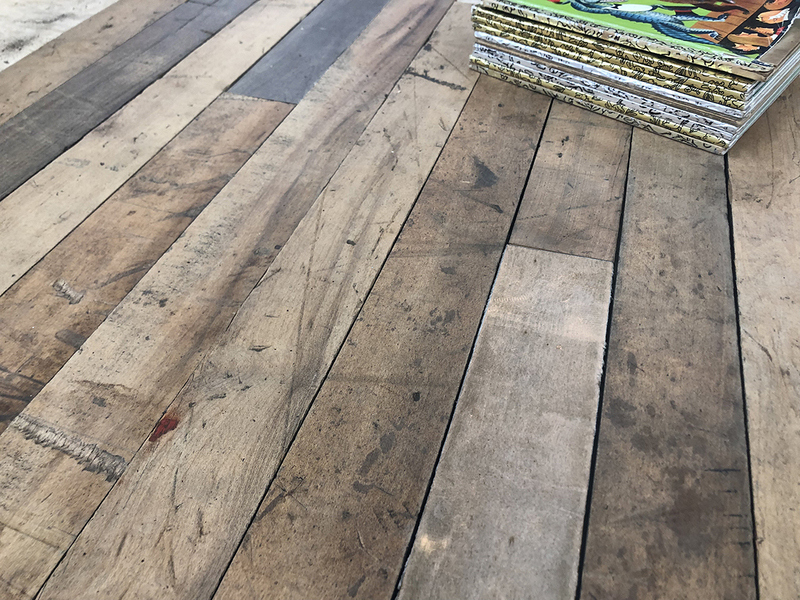 From farming, to children’s books, to Halloween fun, these reclaimed maple floors’ history has a story fit for everyone.